Huawei has been in the news due to the new dubbed Smartphone Honor 9. The company is launching Honor 9 on June 27, but before its launch, Honor 9 real-life photo is gaining attention among the masses. Recently, Honor 9 has been the hot topic in the newspapers and channel because of the Honor 9 real-life photo leaked online. Huawei is not much concerned about the security of the models before launch that is why pictures often get leaked. 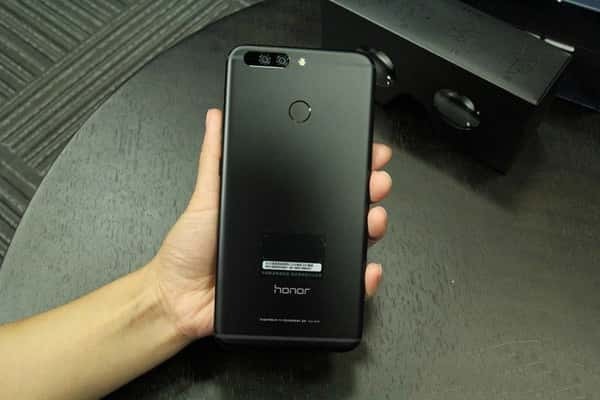 The picture leaked online is assuring that device will be better than Honor 8. What will be so unique about Honor 9? According to the image popped out on Weibo, a Chinese website, there is no fingerprint sensor at the back. Due to the large phablet size of Honor 8, users find it difficult to use the fingerprint sensor. The company is planning to bring a device filling all the loopholes of Honor 8 and adding some new features. Honor 9 is expected to have dual rear camera set up with 20MP. The front camera will have 12MP sensors. The sensors of Honor 9 will be same as Mate 9 and Huawei P10 but without Leica Badge. Honor 9 real-life photo is successful in creating a sense of curiosity in the minds of consumers. It is going to be interesting to see whether the device finds success or not.